Stress On The Road Truckers Turn To... Yoga? If doing yoga on the road in the cab sounds like a silly health suggestion on some trucking forum – think again. More and more truckers have turned to yoga as a means of staying healthy and limber on the road, as more companies place an emphasis on the physical well-being of truckers in recent times. 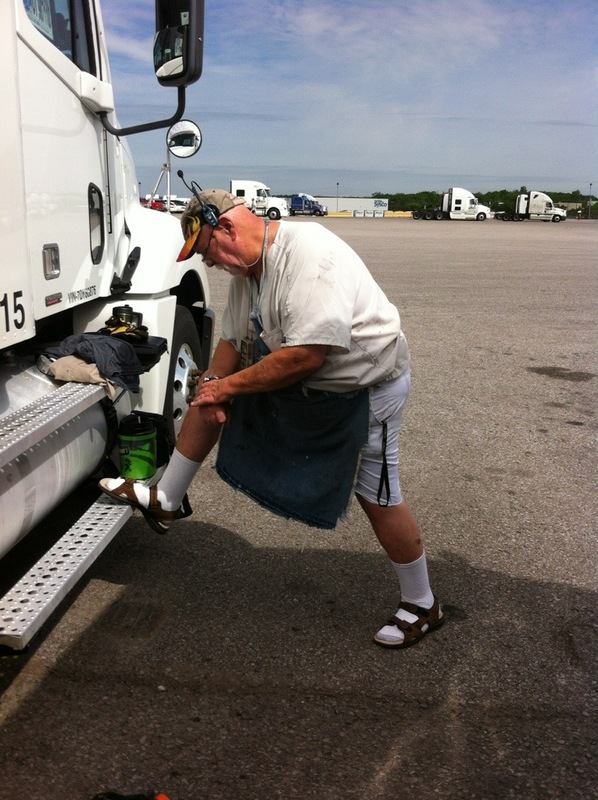 Sites like The Healthy Trucker have recommended that in addition to a healthy diet and a consistent sleep schedule, truckers ought to try simple yoga poses which include stretching and deep breathing exercises. Many of the poses that health sites recommend are not all that different than the stretches and techniques that have been passed down to drivers in order to keep their spines aligned properly and to ensure their muscles see some level of action. In addition to stretching, the yogic principle of deep breathing can help drivers stave off hypertension and helps to prevent hyperventilation which may lead to more serious health concerns. Still, not all drivers are sold on the idea of practicing yoga on the road. Patrick McManus, a driver from Detroit reports that he’s not inclined to try yoga on the road. Check out some yoga activities on YouTube and let us know – have you ever tried yoga while on the road?